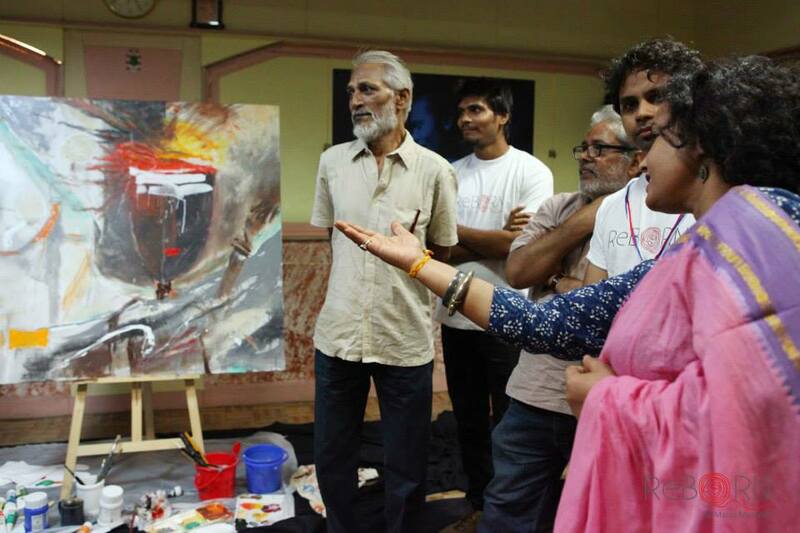 Mumbai, May 27, 2014: Last evening saw artist, Manoj Mauryaa transform visual arts into performing arts via a unique concept of Live Painting. 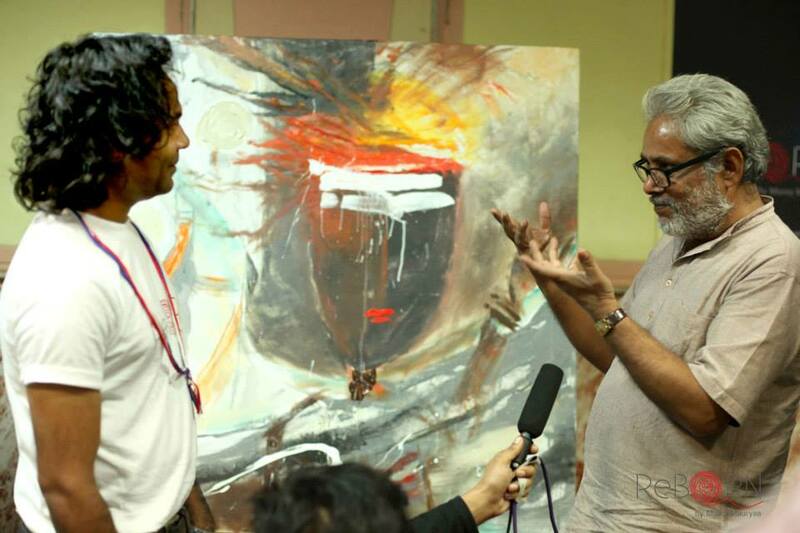 Manoj chose this event as a precursor to his upcoming exhibition titled ‘Reborn’ which will be held at the Nehru Art Centre between the 10th-16th of June 2014. 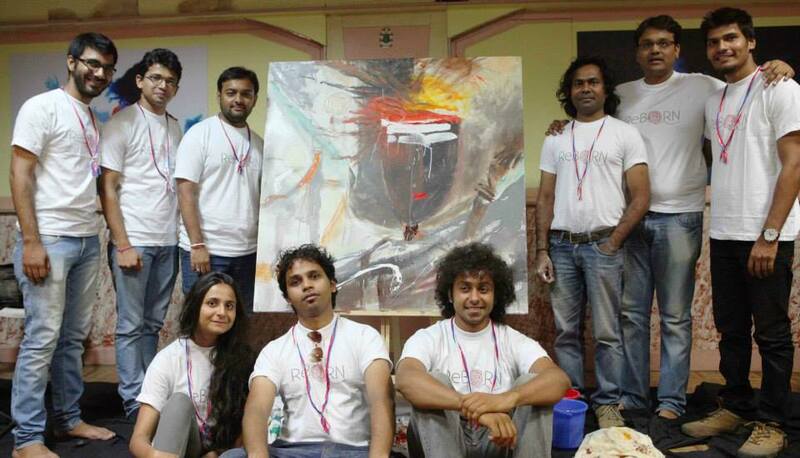 “The Prelude to Reborn “event saw Manoj mesmerizing the audience with a spectacular live painting which was created in harmony with live music. Musicians such as Krunal Shah, Varun Rao, Shashank Acharya, Prasad Rahane, Jainam Modi, Dhaivat Jani, Amit Mhatre , Anith Sadanand and Annie Chawla who gathered from around the country to create a beautiful symphony were very excited to be a part of such a unique endeavour. This evening saw for the first time ever such an experiment done with art , where the art got sound and music got visuals. Manoj’s live canvas displayed colours created by Guitars, Ukulele, Saxophone, didgeridoo, Sitar, Flute, Zitar, Tabla, Drums, Percussions, Djembe and vocals. The event was well attended by industry patrons, actors, directors, musicians and literary personalities. Each personality left the prelude enthralled. All in all, The Prelude To Reborn was a beautiful evening, leaving the audiences hungering for more. Patrons are now looking forward to the exhibition, “Reborn”, a concept very close to Manoj Mauryaa’s heart and one stemming from his own personal experiences. The painting created at The Prelude To Reborn is to be showcased at the main exhibition.